I finally feel like Spring has arrived. 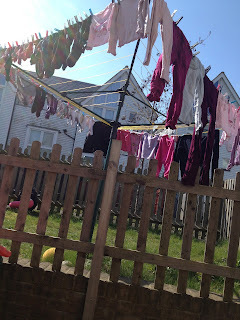 Kids are playing happily in the garden and I have finally managed to put my washing on the line, is it sad that I was excited about doing this? Anyone else got a spring in their step?? Yes, beautiful sunshine here, washing on line etc. We have been planting some veg in the garden - hope this really is the start of spring!